Good Morning! I am here today with my last color combo as the Guest Designer for Curtain Call! 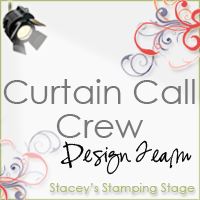 This last month has been alot of fun and I want to say thank you to Stacey for inviting me! All the DT girls have been so sweet and I am bummed that my month is over already! :) It went by too fast! I love that sentiment, don't you? It's from MFT! I have had that set forever and this is the first time that it has seen ink! 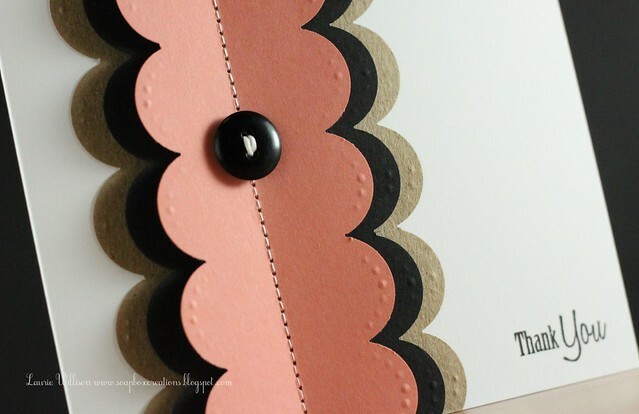 One more thing....I have had several emails and comments about the border punch I used HERE and in today's card! HERE is a link you can go to to find out more about it! It's an EK Success punch and I do love it! Thanks so much for stopping today! Thanks again to the CC girls! I have had a great month! 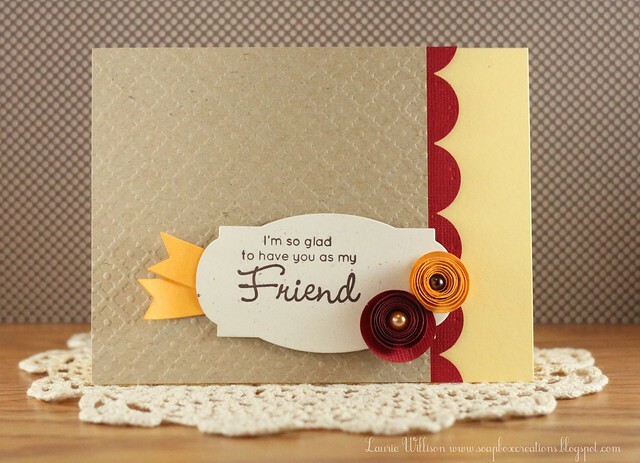 Welcome to the PTI February Blog Hop! So glad you came by today! Our challenge this month is Scallops! "We want to see your best use of scallops, of any sort, on a project! 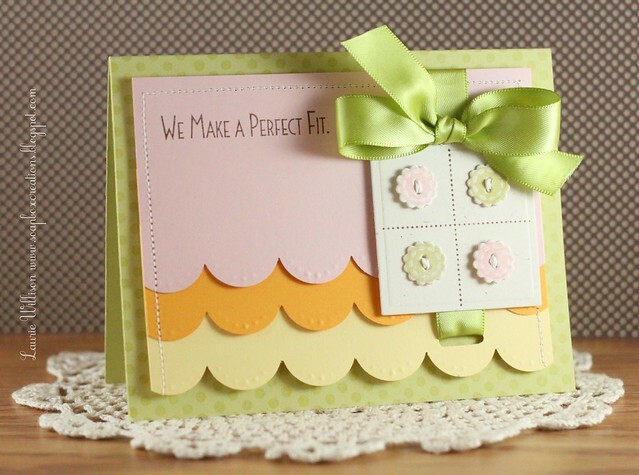 This can include scalloped borders, offset-scallops, stamped scallops, scalloped mats, scalloped frames, layered scallops, scalloped tags or anything else you can dream up! 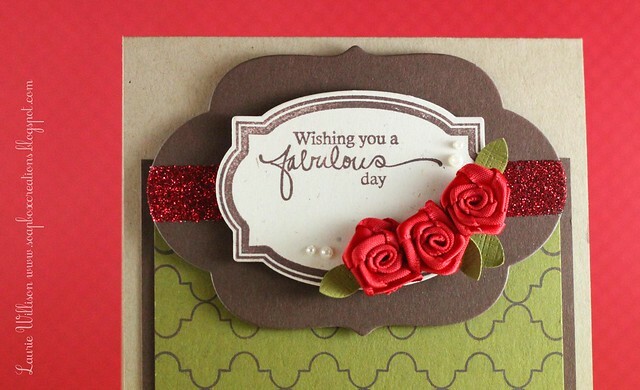 You can use dies, patterned scissors or even circle punches in a row to achieve your special look." I have two cards for you today! This first one is a complete CASE of myself from back in July! I have always loved that card and when I think scallops I think of that card! Since I had some new button stamps to play with, I just did some minor adjustments! LOVE these new buttons! For my next card, I took some inspiration from Jessica Witty! 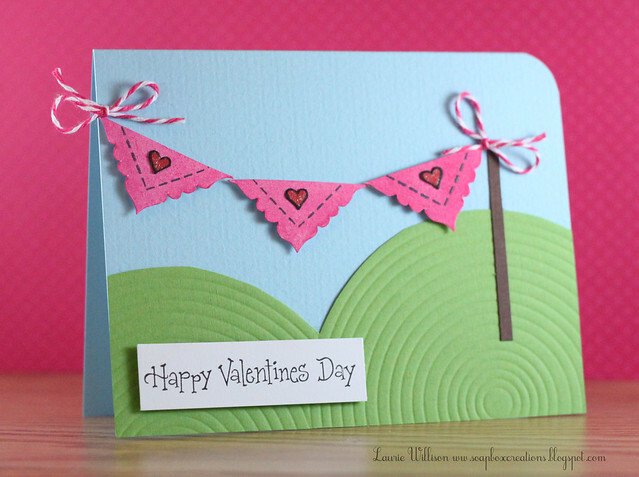 She recently created a card with crepe paper and made sort of a ruffle. 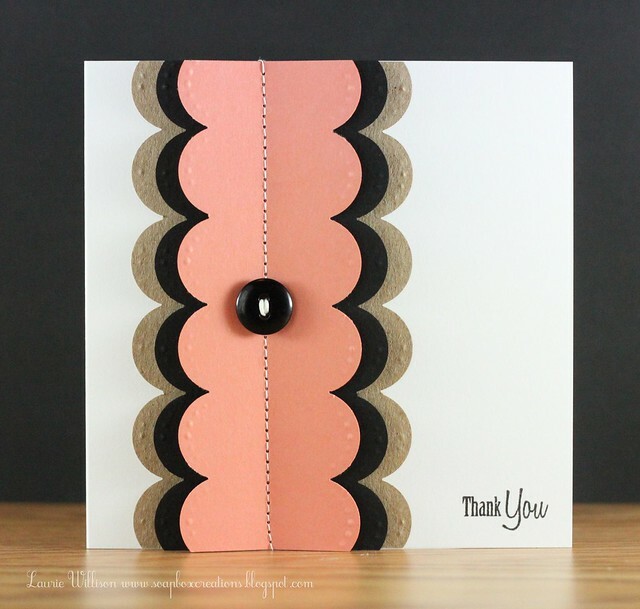 I had to try it with cardstock and scallops! You might not be able to see but each layer is lifted for dimension! 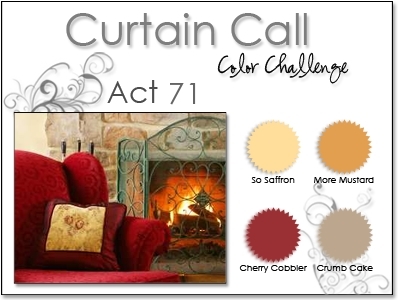 This is one of my favorite color combos lately! I love Melon Berry and True Black! So fun! So that is it for today! 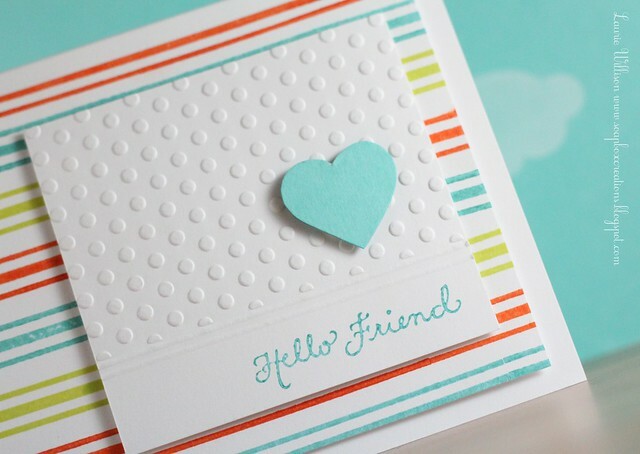 If you want to go back to Nichole's blog you can see the BIG list of other scalloped creations! Thanks for looking today! Have a good one! I so love this background set! And the little zig zags are from the new button set! Tooo many fun things this time from the February PTI release! 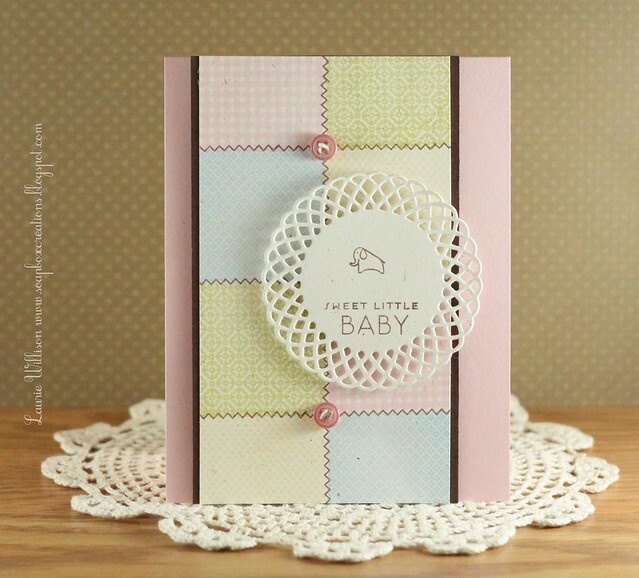 I bet after playing with my new stuff I am going to have a stack of baby cards here pretty quick! So glad you stopped by today! Thank you for visiting! Always makes my day! Hi Everyone! Welcome to this weeks DeNami Product Spotlight! 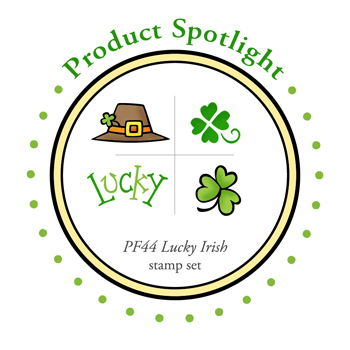 Today we are showcasing the Lucky Irish Stamp set! I have 2 cards for you today! 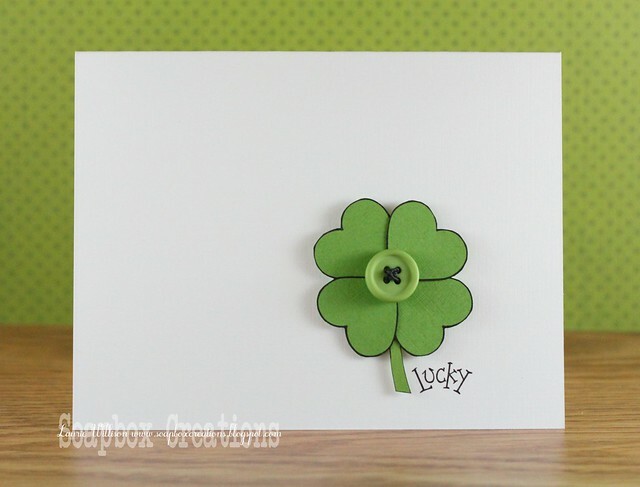 This first card uses the Small Heart Outline to make your own 4 leaf clover and the sentiment from the spotlight set! Super easy and lots of fun! This next one I wanted to give a very St Patricks day look to! I love that little clover stamp! So cute! For the sentiment, I just used my Stamp-A-Ma-Jig and lined up the sentiments to make a circle pattern! Then I cut it out with an 1 3/4" circle punch! 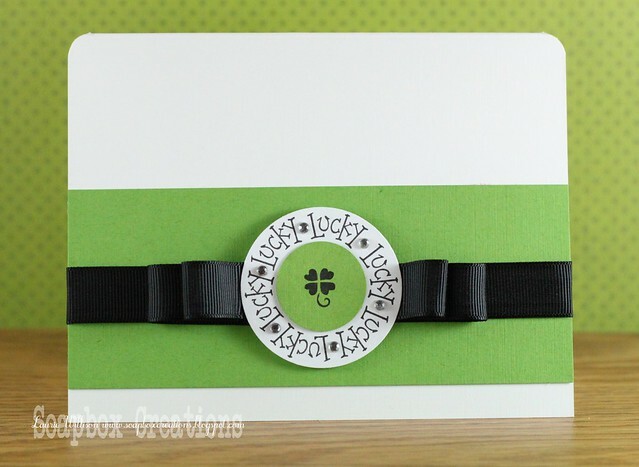 I used DeNami's white and green cardstock in both projects! The green is the perfect St Patty's day green for sure! "Hi everyone! It's Amy here and today is another challenge day here at the Papertrey Paper Dolls blog and I am so glad to be the host this week. 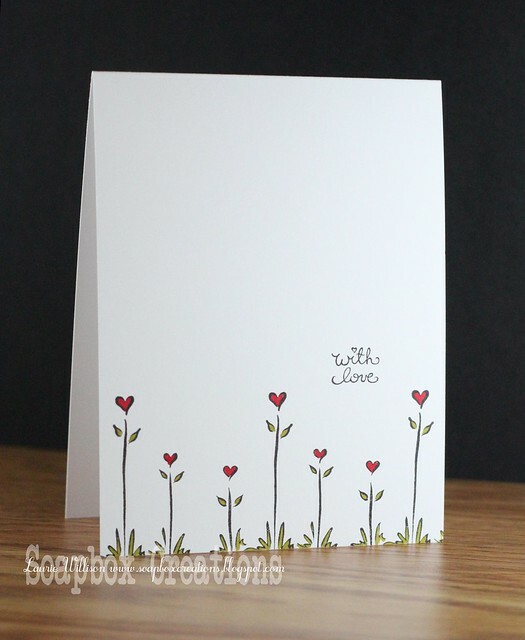 For my challenge I wanted to make a Spring card focusing on EMBOSSING with any floral image from PTI. " 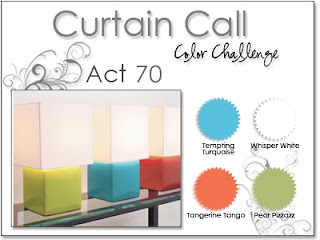 You can go HERE to check out the Paper Dolls blog and to link up your challenge card! We would LOVE to have you play along too! I know you have seen this Argyle background before! I kinda like it! Its so easy to line up that stamp 3 times and then score each edge at 1/2 inch! Super easy! I am so glad you stopped by today! I hope that you can find a few minutes to play along with us! We have challenges every other Thursday and there are lots of challenges still open! If you go back through the Paper Dolls blog and see one you like, link up! 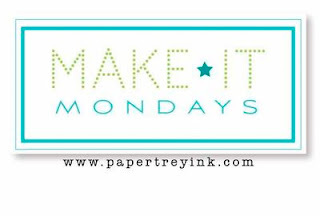 I am so excited to be here today with a Make it Monday card....on Monday! I found a little mojo and time after watching Dawn's video for this week! You can go HERE to see this weeks challenge! I love this background from PTI's Retro set! So classy! Hope all is well for you! Have a great Monday! Yes another CAS card! 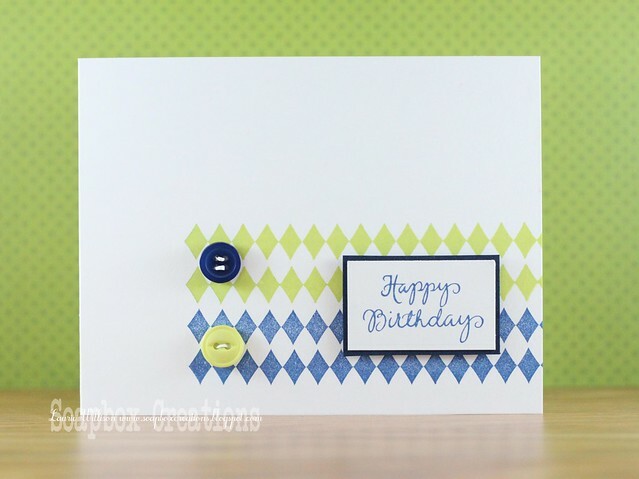 I do love this Harlequin Border Stamp! It makes such a fun background! We would love it if you played along! 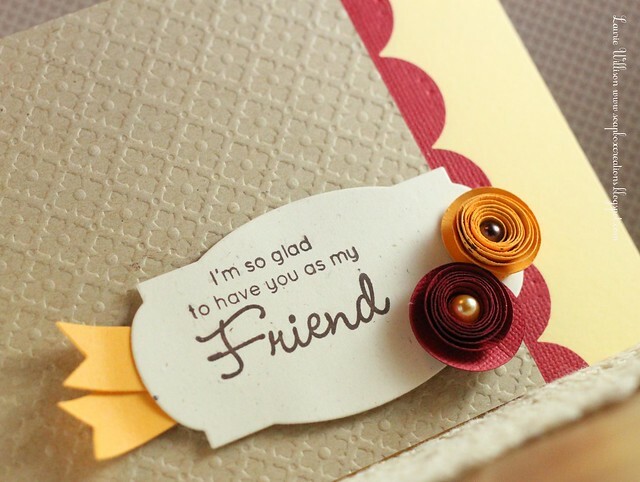 Please stop by the DeNami blog to see the creations made by the other girls and to link up your project! So today is that bittersweet day I talked about on my last Amber Ink post! This was such a fun month and I have to thank Alyssa once again for passing the blue torch on to me! 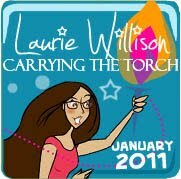 Once they told us to pick the next person to carry the torch, I knew exactly who I wanted it to go to! I picked the super sweet Keva Brown! She is amazingly talented and has a huge heart! 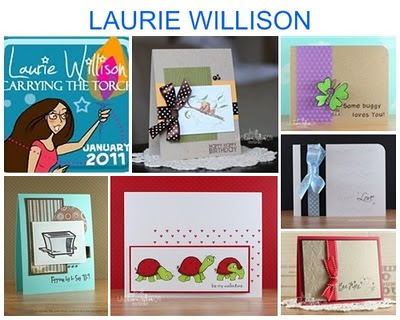 We have become fast blogging friends and I know she is going to create some super cute stuff using Amber's images! Thanks also to Pam and Amber who have been a HUGE help along the way! I had a lot of fun this month and can't wait to see all the new Amber creations! Good Sunday morning everyone! 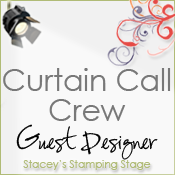 I am here today with this weeks Curtain Call! The colors this week are so bright and springy! You must play along if you can! The card is made using all DeNami stamps! I saw my fellow DeNami DT member Lisa, use this Three Line Border stamp and I knew right away...I had to have it! It really makes a great background! For the heart, I stamped it in black and then cut it out. I attached the inked side down so you couldn't see any lines! 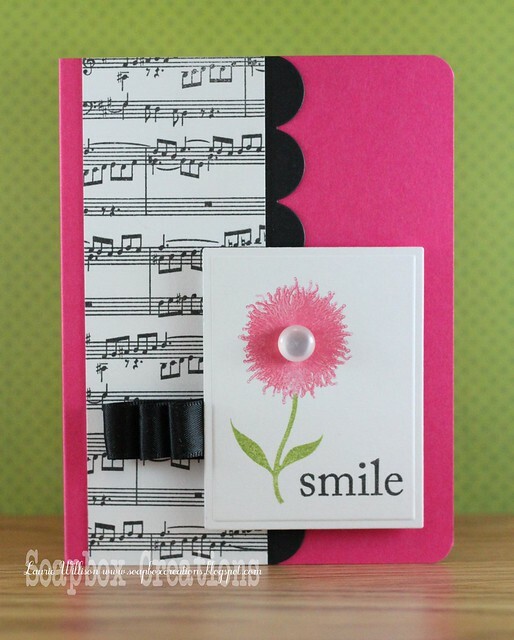 For the embossed piece, I embossed 3/4 of the white square and then added to score lines with my Scor-Pal. Then I stamped "Hello Friend" in PTI's Hawaiian Shores! So here are this weeks colors.. I have said it many times before, I love PTI's Sheet Music Background set! So I made several cards using it recently and so I thought I would stop in and share! 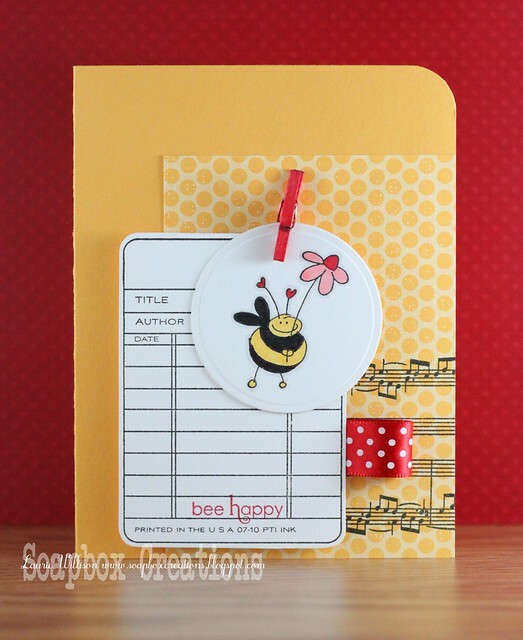 Here are several sets put together...Sheet Music, Library Card, Honey Bees! The bee stamp is something from Michael's...can't find the name! That little clothes pin was wood colored! I added a little red copic for run! And here is a super CAS one...and super easy! Some sheet music and thickers! Paulina asked us recently to share some of our favorite DeNami stamps! And of course, I already had mine picked out! 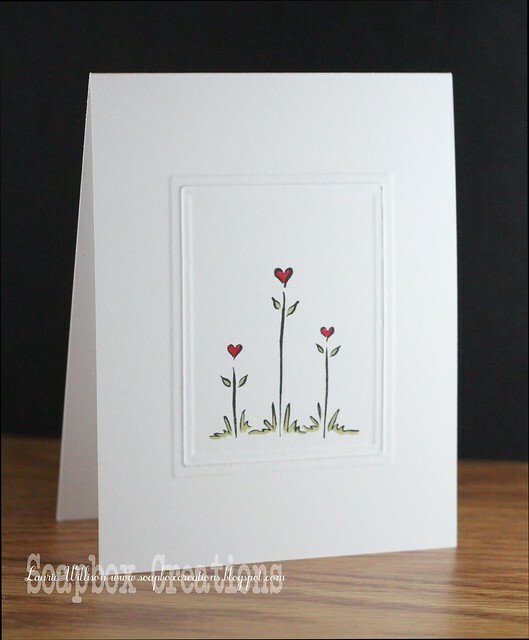 I love so many of the stamps but there are a few I go back to when making a quick and simple card! So here are a few of my top picks! Elegant Floral Stamp Set-I am also a huge fan of the Petit Fours! These are again, a great way to make your own patterned paper! Being able to coordinate your paper with your main image is a bonus! You don't have to hunt down the right colors for the background, you can just make your own! I love that! 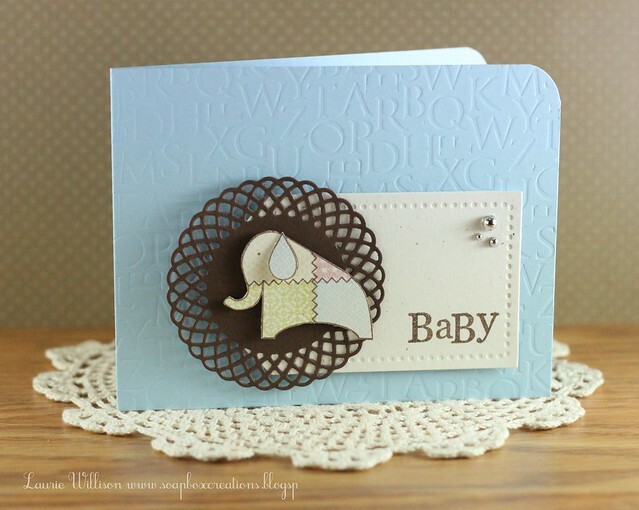 Scalloped Square-I absolutely LOVE the (E91) Scalloped Square! SO many possibilities! 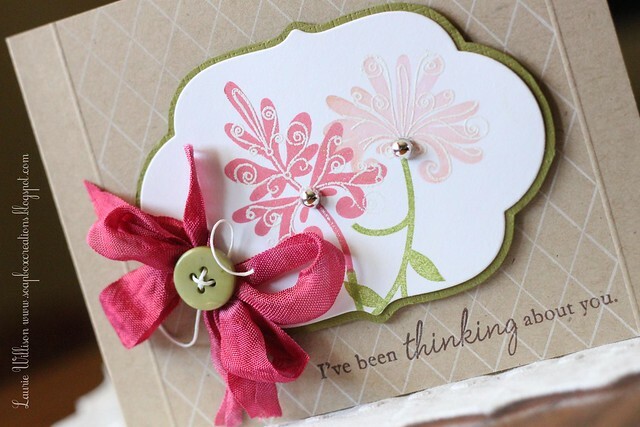 I love that it can be stamped in a light color with a sentiment over the top! It is such a great "grounding" image and then of course can be used for "build-your-own" patterned paper! Small Stitched Square-Next, I can't narrow it down to one, so I will just say I love all the stitched and dotted squares and circles! 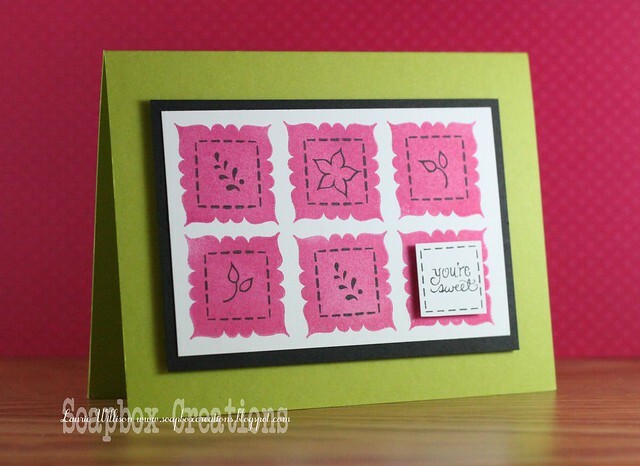 I love the way these stamps give a border to a punched out shape and a frame to a small image! This gives great dimension when you can punch the shapes out and pop them up on your project! DeNami Ribbon-DeNami's selection of ribbon is fantastic! The grosgrain ribbon makes the best bows!! Heart Flower Trio-My most favorite image so far is (J104) Heart Flower Trio! This image is gorgeous, versatile and fun! 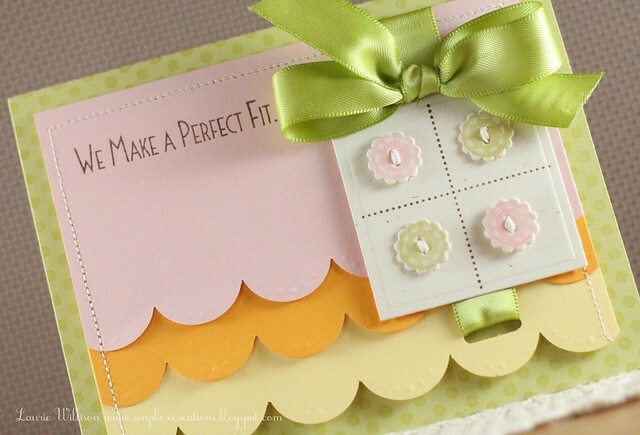 It makes the most beautiful CAS cards when paired with just about any sentiment! DeNami Buttons-And I am a button junky so, I totally love their selection! They match so well with their cardstock and ribbons! And one more thing I have to add in here..the Boutique boxes! 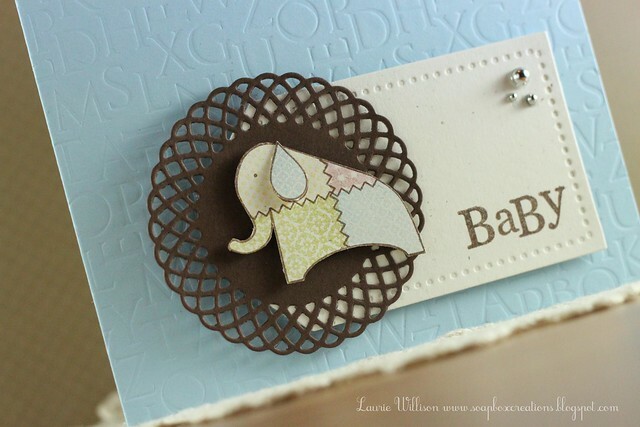 These are SUPER cute and such a fantastic way to personalize and give a gift! 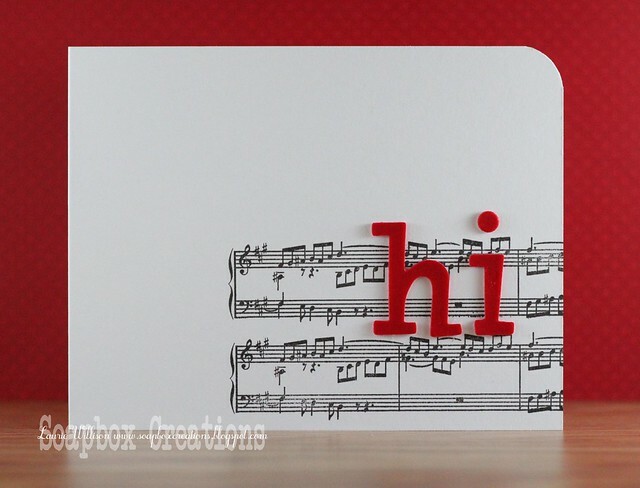 These are great for any occasion, teacher gifts or just about anything! 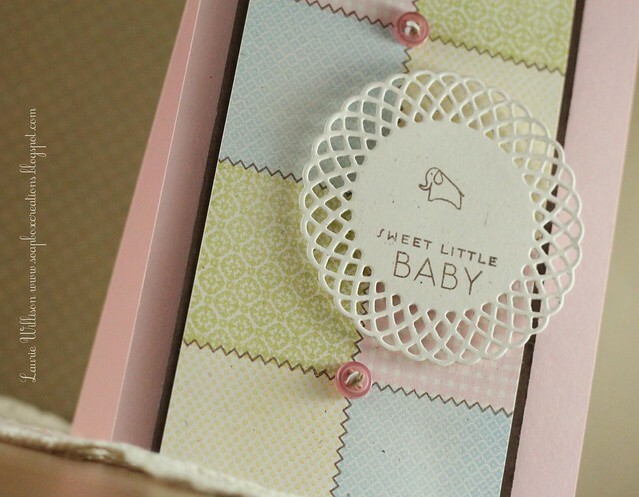 You can see a little gift I made HERE, using one of these adorable little boxes! I know you have already seen this one before, but I have to share it again! 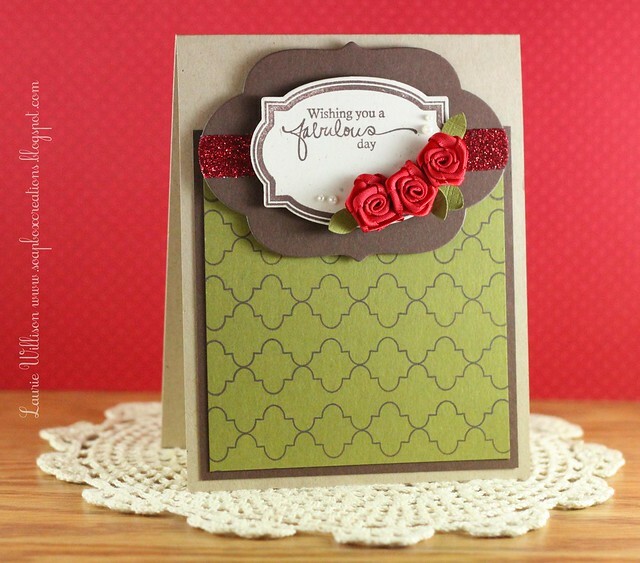 It is one of my favorite using the Scalloped Square and the Small stitched square! You can click on any of the links above or click HERE to go straight to the DeNami store to pick up some of these amazing stamps! So thank you for coming by today and checking out my favorite things! Hope you have all had a great week! See you soon!